Properly lighting a cigar is a bit more complicated than simply striking a match. But taking the time to establish an even, straight burn—and getting in the habit of doing so regularly—will pay dividends in better performing cigars and fewer touch-ups. It’s well-documented that butane lighters, due to their resistance to wind and consistent flames, make great ignition tools. Some cigar enthusiasts spend hundreds of dollars on a shiny lighter made of a precious metal that may or may not perform well over the years (or may or may not get lost between the car seats). If that’s the route you want to take, I think you’ll find many of options. I, on the other hand, have several single-flame lighters (one in the car, one in the golf bag, one at home, one at work, etc. ), each of which cost me between $4 and $30. A few are very reliable and effective, and a few others are less consistent. Most importantly, all are easily replaceable. Whether you’re using a $4 lighter or a $400 lighter, the process of establishing a good burn is pretty much the same. After cutting the head and examining the cold draw, take the foot, hold it at a 45 degree angle over the flame, and slowly rotate the stogie so the entire face of the foot begins to darken. Take note of the aroma. Next, place the stogie in your mouth and hold the flame about an inch from the foot. Rotate the cigar as you draw in air. When you release the air pressure from the draw, a flame will shoot up from the foot of the cigar, and smoke will release. Finally, take the cigar out of your mouth and gently blow air directly onto the foot. This will help the flame spread across the entire surface of the filler tobacco (and also enable you to check your work). Repeat as necessary. These simple steps can be followed whether you’re using a butane torch or, as is my preference in non-windy locales, wooden matches. It is inadvisable to light cigars with paper matches, stoves, candles, or lighters that use lighter fluid. Whatever your ignition tool, be sure to keep this in mind: You’re lighting a cigar, not welding iron. There’s no need to rush the lighting process (the ritual is meant to be enjoyed), and overhearing or charring the foot is a great way to ruin an otherwise fine smoke. So take your time and keep the flame at a safe distance. Solid tip. I agree that whenever possible a few matches are the way to go. I find two is usually enough to get a full, proper light. I subscribed to the great site literally a few minutes ago and am glad I did. I'm the type of person that tries to find great $10 (or so) bottles of red wine and roughly $3 a stick cigars….or less, if they taste good. At 64 years – – I know I still have a lot to learn as I look for that less expensive, but satisfying cigars. With regards to lighting – I use my natural gas kitchen stove to start, a butane lighter or I have large boxes of stick matches (preferred) that I buy at a local box store..
Great site and I hope to learn more as I continue reading. Warm regards to all…..I'm a RVN Vet, retired cop, father of five and someone who enjoys a cold beer, nice red or tasty bourbon. 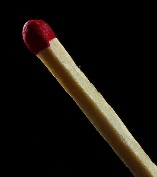 When I have wooden matches, I use those. I love the "ritual" of using a strip of cedar (but for some reason I am usually in a quandry as it never seems to be large enough to light the cigar slowly). "Finally, take the cigar out of your mouth and gently blow air directly onto the foot." Just one man's opinion, but this a pretty stupid practice. I get perfect lights without it. I need to get a box of the large wooden matches for my desk drawer. The ones that usually come with a box of cigars are too small, in my opinion. Lighting a cigar is part of the enjoyment factor, and must be savored.